I’d like to assume that most people here have seen this film. If you have not, please stop here and go watch this wonderful remake (original, 1958 directed by Kurt Neumann) and a visually fascinating effort. 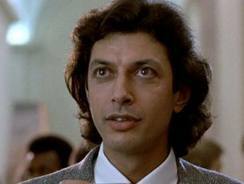 The most memorable aspect is scientist Seth Brundle’s (Jeff Goldblum) transformation stages. 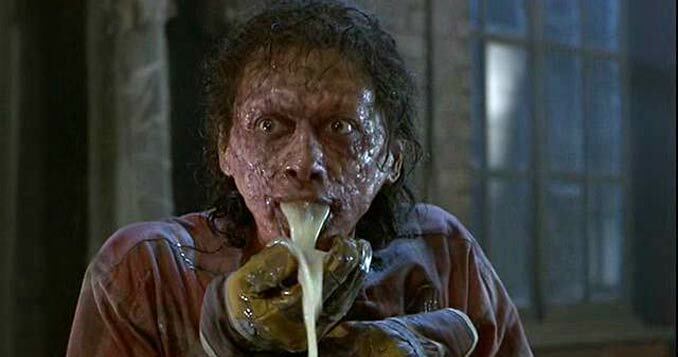 The Fly is one of the most recognizable examples of Body Horror. Instead of reviewing the film, I’d rather like to further explore the concept of Body Horror as well as David Cronenberg’s association with the method. As noted here in past write-ups and comments, Body Horror is a sub-genre of horror that focuses on the physical transformation or “physical wrongness” of a character. Body Horror, when thought of seriously as a film mechanism may be the most intimate of all film mechanisms as it focuses on the most core human instinct of bodily awareness- something universal yet unique to each of us. To me, this makes it possibly the most intriguing, if not the most important category of the most important genre. 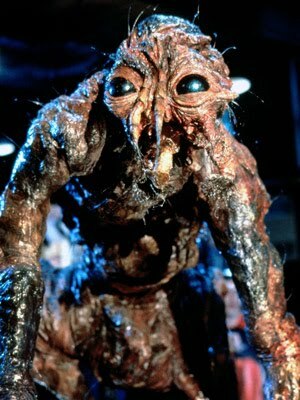 Aside from The Fly, Cronenberg has utilized Body Horror multiple times very successfully and fluently. Notably Rabid, and aforementioned The Brood, and Videodrome. He has an unmistakable physical force in his films. There is nothing more human than the body and Cronenberg endears his audiences through this exploration. Of course not all of his films are body horrors. He has, particularly more recently, explored other genres but has firmly maintained a focus on bodily transformation and awareness throughout his career. Note the symbolically tattoo-covered Mortensen in Eastern Promises, the close hand-to-hand fight sequences in A History of Violence and the intimate mangles in Crash. I came across this article/interview with Cronenberg from 2005 digging deeper into his fascination/obsession with the body. As much as I love Cronenberg’s work and as synonymous with Body Horror as he has become, I think it is easy to get trapped into narrowly defining the genre by his interpretations. It is so easy, I think, because he has used multiple different avenues. We would be missing the point though if we did not explore Body Horror beyond his works. Body Horror often uses shocking imagery to emphasize a psychological or emotional struggle. The Fly is a fine and very aggressive example of this. On the other hand, there are examples of Body Horror that use much more subtle delivery or at least less consuming approaches. Rosemary’s Baby, of course, deals with the victim’s unyielding obsession with her own fetus/baby throughout but the character’s actual physical transformation is relatively limited. These, I think, are fine pillars to note the opposite ends of the spectrum in Body Horror. Another interesting consideration is a film’s degree of “body”. Many, many horror films utilize some degree of “body” almost unavoidably. Whether they are true “body horrors” may really be beside the point. Take a film like Basket Case (1982 directed by Frank Henenlotter). The film, which is as much a comedy as it is a horror, focuses primarily on the extrasensory connection between a young man and his repulsive Siamese “brother”. They have an irrefutable physical connection (being born of the same embryo) but the movie is more focused on their non-physical connection. One of my personal favorites, The Exorcist, exhibits undeniable and remarkable physical transformation throughout. In this case though, the bodily transformation is used more as a method than the focal point of the film. Think also about the transformations that occur in Werewolf films. Often the visual highlight of the movie, the transformation, takes only seconds. It is he ongoing bodily consciousness that consumes the character though and ultimately the point of these films. Are these, body horrors? I suppose it does not really matter. What is important is the effectiveness and prevalence of the mechanism. Much is made of the metaphoric aspects of Body Horror- rightfully so. Almost always, the director is making a statement or alluding to something deeper or larger. Many times the reference is itself physical. For example, several body horrors are interested in commenting on human disease or even something as universal as growing old or death. In other cases, the commentary is more on human interaction or sociology (Cronenberg has explored both). Truly, the boundaries are limitless in terms of symbolic meaning. For serious film and horror fans, an appreciation of Body Horror is, I suppose, unavoidable. I would also attest that Body Horror presents the most straightforward means of introducing/exploring the horror genre with uneasy and/or skeptical critics (far too many). 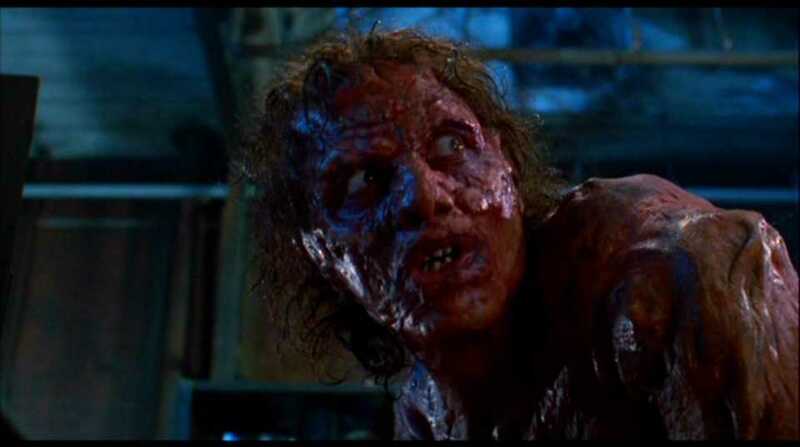 Good overview of Body Horror and I love the picture-intro conveying the transformation of Brundle into fly. This is my favorite Cronenberg movie… well this and his short “The Suicide of the Last Jew in the Last Cinema of the World” (or something like that). While I think that Cronenberg may be more connected with the concept of transformation of the soul more than with the Body Horror, it’s still one of the concepts/techniques/categories it uses for its films. “The Fly” (1958) is just so much fun, it’s scary without showing and finally such good special effects for a movie in that time, of course I’m not talking about that hilarious fly mask. I rate it ****1/2 and I saw it in my last year’s Horror Madness, which starts tomorrow! Please link us up when your Horror madness starts! I’d love to follow/comment. 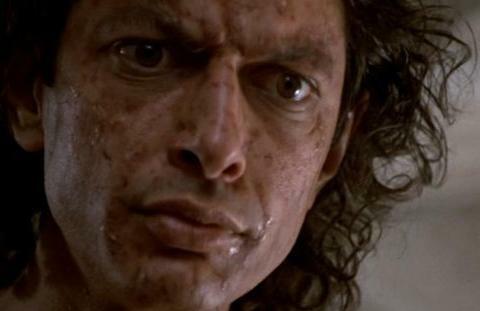 Jaime, make no mistake about it, Cronenberg is the father of Body Horror. Even when his protagonists are transforming metaphysically (as you say soul) there is still a visual interpretation or visual signifier from Cronenberg that shows the body changing. And, in several of his films the horror comes from inside the body (shown most clearly in RABID and SHIVERS), thus resulting in the character being both afraid of the outside world, but more importantly their body (the horror that this can then bring: there is no possible solace when what scares you is inside your body, and Cronenberg genereally goes even further as you note, because the ‘things inside the body’ are usually metaphysical forces. When they are physical, say in ALIEN, the horror can cease when the object is removed or leaves). These relate to the (sub) genre, in fact he/they probably created the genre. As for Robert’s discussion on Body Horror I’ll reserve much of my thoughts as I plan a larger post on the entire genre where several films will be tackled, but I will link to this, and tackle some of the questions/concerns Bob poses here (I plan this sometime in the future when the Horror Countdown is finished). But nice work Bob, I immediately thought this: when you wrote “…Body Horror is a sub-genre of horror…”, I just wanted to add: To me it is the genre of Horror. I like it over all else, and it’s chiefly the reason I like Horror so much. IN MY SKIN is the best Body Horror film post-Cronenberg, most of the others are Asian, where Cronenberg is supposedly huge. Speaking of his CRASH, I started reading that book again this week. Any other JG Ballard fans at WitD? The books is so mesmerizing, as great as the Cronenberg film is, it covers about half of what that book is going on about. It’ so brilliant, and it’s written with the beauty of a poem. And non-Cronenberg fans can rejoice, this is the last time he’ll feature in the Countdown. I have not seen this movie since I was about 15. I remember it was equal parts existentially fascinating and grossly demented. You guys have accomplished two things with this countdown for me so far. Inspect Italian Giallo films further and revisit old school Cronenberg. Dead Ringers and The Fly are at the top of the list in this regard. After the success of ‘Videodrome’ and ‘The Dead Zone’ Canadian Director David Cronenberg’s update of the 1958 Vincent Price classic is now, as stated by most, a horror classic itself. 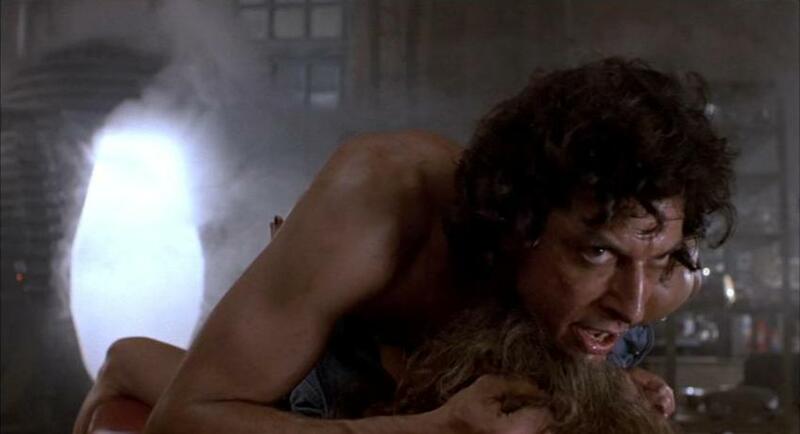 Jeff Goldblum stars as Seth Brundle, a little known inventor of the first ever Telepod. At first turning anything living inside-out, Brundle finally cracks the genetic code and prepares to teleport himself with disastrous consequences. 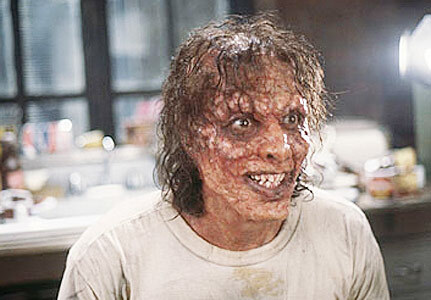 Spliced with a fly that accidentally flew in as the chamber door closed and locked, Brundle has a dramatic and painful transition into a human fly, Brundlefly. Quirky quotes and buckets of gore come in equal doses as Cronenberg’s reworking of the classic tale quickly unfolds into a desperate race for survival. With horrific images that would make the toughest stomachs turn, Horror doesn’t usually come any better than this. Body horror this is. Fine review Robert. stranger still: there is talk that Cronenberg might remake this. Yes, a remake of his remake. In anyone else’s hands this would be lame and bizarre, but Cronenberg is going to bring the post-modernism. Can’t wait, hope it happens. Goldblum’s performance may well be the best ever negotiated in a Cronenberg film, though there’s Jeremy Irons and Ralph Fiennes too. I like this film, though it probably would miss out on my own list. Just taste, nothing else. Otherwise I revere Cronenberg, excepting for CRASH. on October 1, 2010 at 3:00 pm | Reply bobby J. Excellent essay. I love this movie, repugnant as it is in it’s details, it’s done beautifully, stylishly and more than anything – it’s about characters that are fleshed out and I actually cared for. I think it was on my 25 best/favourite movies of the ’80s. It always reminded me of, in a curious way, because of it’s subject and small cast, ‘The Outer Limits’ classic episode ‘The Architects of Fear’. Other small screen efforts have just started to sprout up in my mind, knocking off an ear! You may also enjoy the much celebrated, ‘The Seeds of Doom’, one the 10 best stories of the original ‘Dr. Who’, a rip-roaring mixture of ‘The Thing’, ‘The Quatermass Experiment’, ‘The Day of the Triffids’ and ‘The Avengers’. Marvellously grisly stuff. I have the most awful flu, so back to bed for me! Beautiful set of screencaps there (well, beautiful in the thematic sense) showing the progression of Brundle to Brundlefly. I’m with Jamie that body horror is right up there with the central components of what makes horror horrifying. Cronenberg has definitely helped define the constructs of this aspect of horror by crafting some great films around the theme and working toward what can make it so strongly affect us. It may not be my favorite type of horror, but it probably is the one that puts me in that horrified state better than anything else.